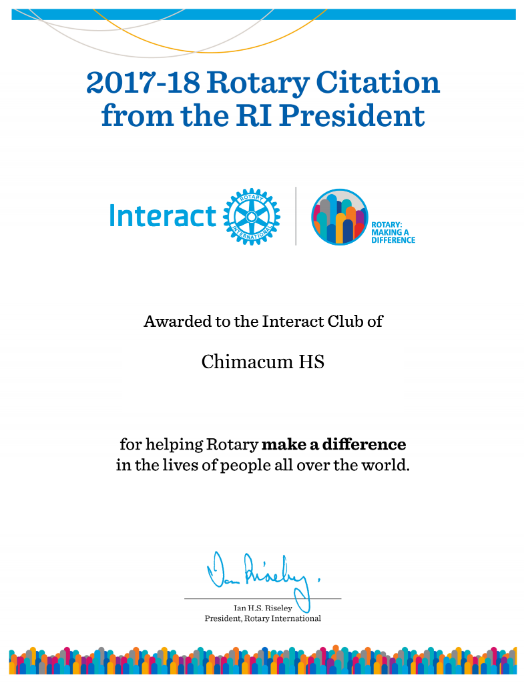 2017-18 Rotary Citation for the Interact Club of Chimacum High School. The Rotary Club of East Jefferson County was honored to receive the 2017-18 Rotary Citation from the RI President for the Interact Club of Chimacum High School. Congratulations, Interactors!